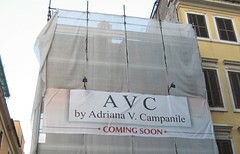 AVC by Adrianna V. Campanile may be coming soon but AVC by Fred Wilson is here to stay. For those of you who are curious, avc.com is owned by AVC Technologies of Bethlehem, PA (a city I lived in for 5th and 6th grades! ).